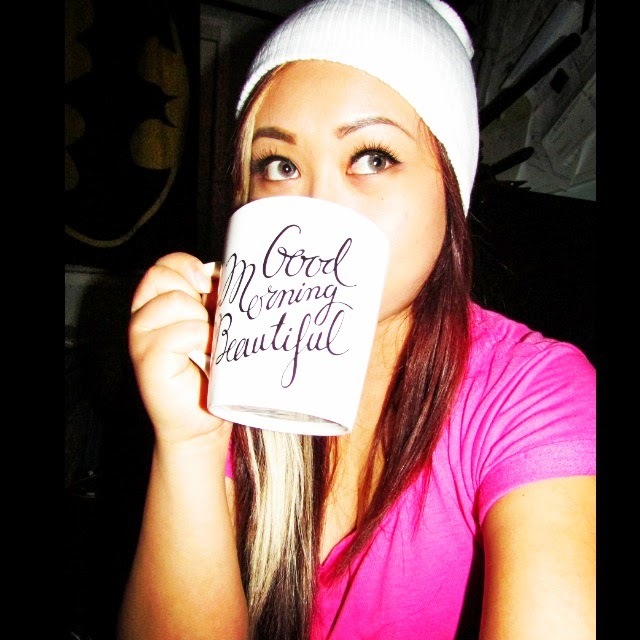 Sometimes, it pays to check your social media often. 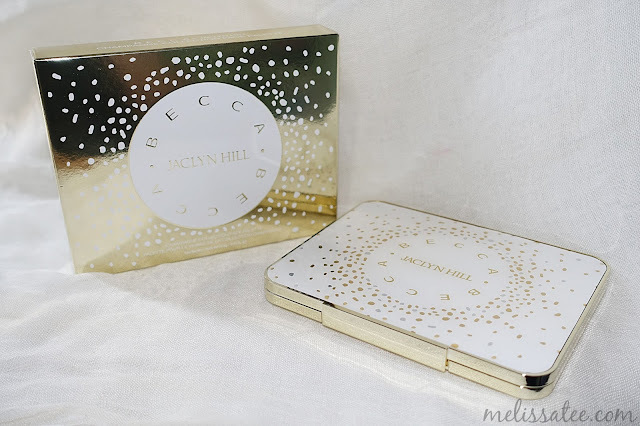 I was so lucky to be checking my Snapchat the other day, when Jaclyn Hill was at her pre-launch party with Sephora and Becca Cosmetics. 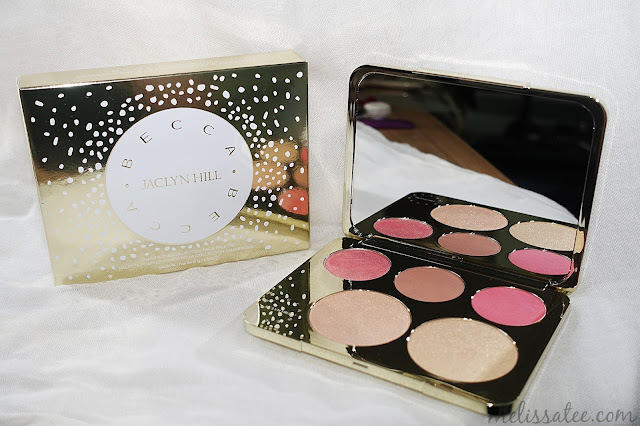 She announced that she asked Becca's permission to pre-release a small amount of palettes through Sephora's mobile app. I rarely watch snaps, but that one day I decided, why not. Super lucky considering I really wanted this palette! 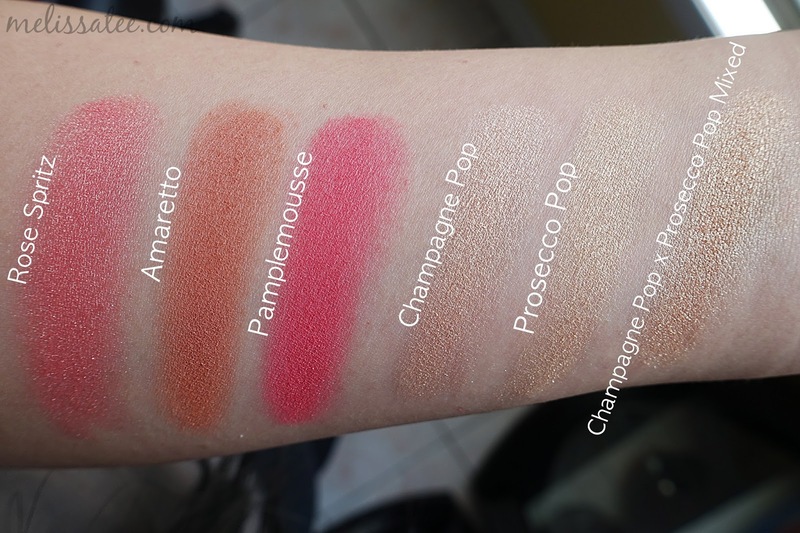 I was on the fence on purchasing a full sized Champagne Pop, and I'm so glad I waited. 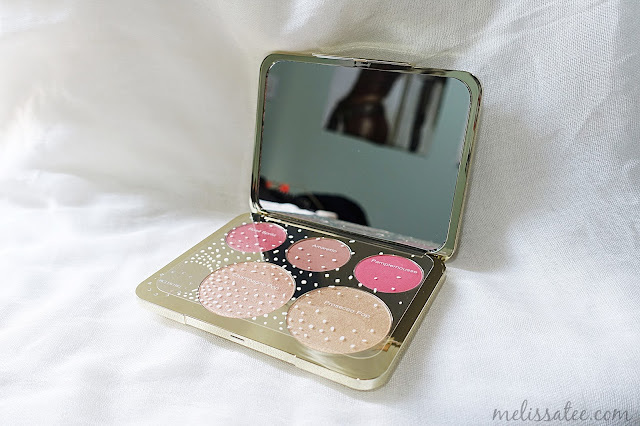 Now I have a palette that has a bunch of gorgeous products all in one! 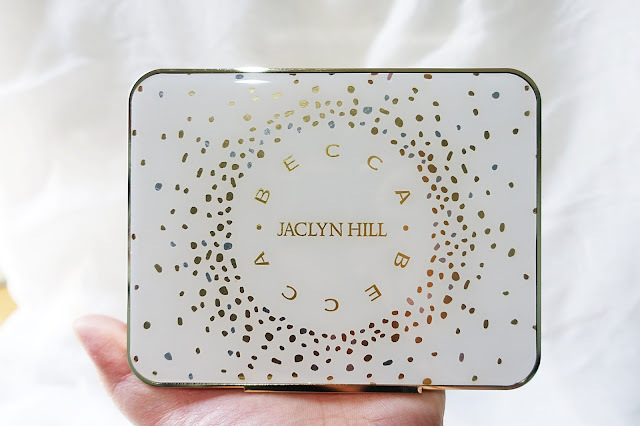 Introducing the Becca x Jaclyn Hill Champagne Collection Face Palette. The new champagne collection also includes a liquid champagne pop, a poured creme champagne pop, and an eyeshadow palette. The attention to detail for the packaging is phenomenal. I love anything that's gold and white, absolutely stunning. 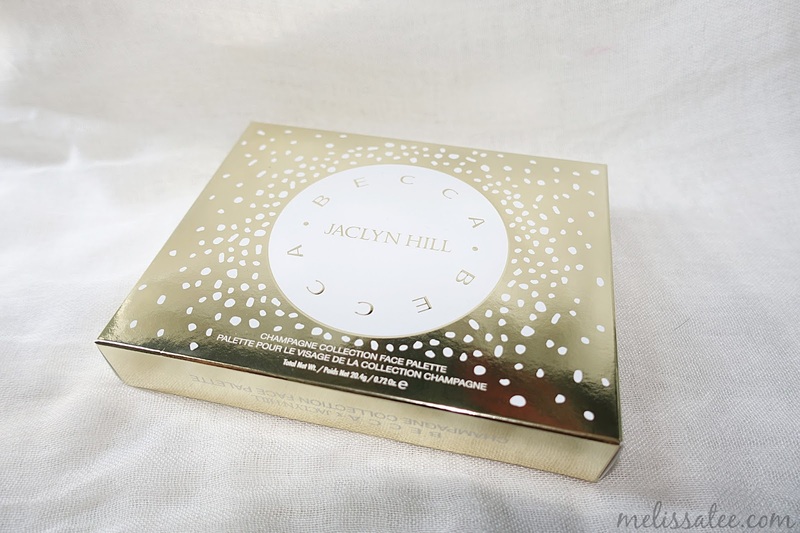 The packaging definitely screams "Jaclyn Hill", with the pretty, feminine, elegant touch. 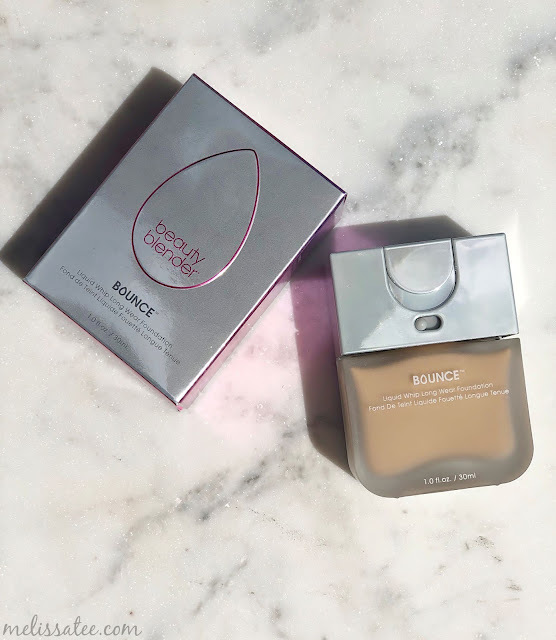 The palette came with a protective film over the front because the top is made of a gel like material. When you press your nail down into it, it bounces back up in a couple seconds. Probably going to be prone to getting dirty, which is a shame. I would of gotten a review out like 3 days ago when I received it, but I just moved into my new home so I didn't have time to photograph anything. I have heart eyes over this palette. Probably one of the most gorgeous palettes I own. The palette comes with 3 blushes and 2 highlighters. I absolutely adore the palette itself. The mirror is huge and bends back pretty far, allowing you to hold it easily in your hands to apply make-up. Great palette to travel with! Rose Spritz is a a fun peachy pink with gold shimmer. This one is the luminous blush. Amaretto is a matte toasted almond shade, that comes off a bit orange. Pamplemousse is a pretty warm bright pink. Both Amaretto and Pamplemousse are mineral blushes, with a slight sheen to them. They're more satin than they are matte. 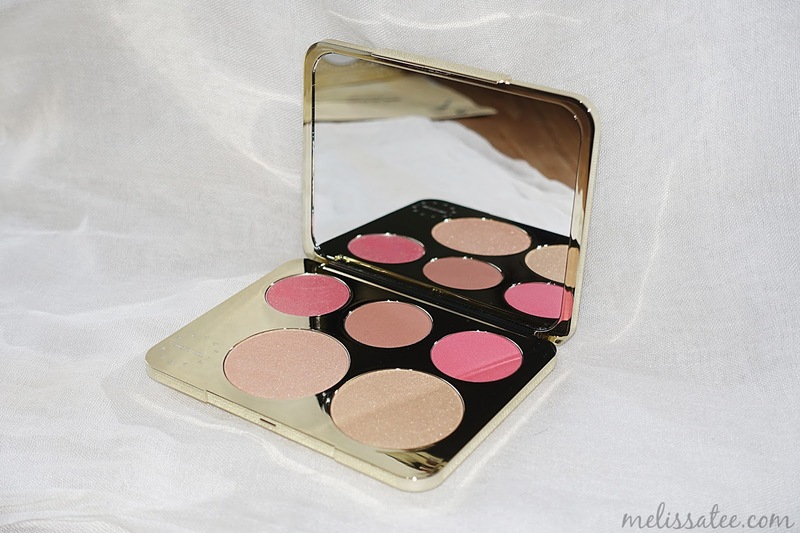 Champagne Pop is a stunningly beautiful white gold with a slight peach/pink undertone. Prosecco Pop is a medium warm gold that will add the perfect touch of glam to your look. Mixing the two highlighters together creates a gorgeous warm gold, slightly bronze shade. Lets just say, this palette needs to be on your wishlist. The blushes are extremely pigmented, and the highlighters are brighter than our futures. LOL. The shades are great on their own, or even mixed together, to create your own glam look. Get your bank accounts ready for May 26th, because this palette will be a great addition to your make-up collection.